In the field of plant lighting, as one of the fastest growing agricultural lighting fields in recent years, LED has obvious advantages in plant lighting because of its high luminous efficiency, low heat generation, small size, and long life. Plant lighting and other LED lighting With the maturity of the technology, companies have moved from the general lighting market to the field of plant lighting, and plant lighting has broad prospects. So, what problems exist in LED plant lighting in the process of development? What is the current proportion of LEDs in plant lighting? What is the future trend of LED plant lighting compared with other light sources in plant lighting? 1. How To Treat The Current Development of The Entire LED Grow Lighting Industry? The future development prospects of the plant lighting industry are very optimistic. 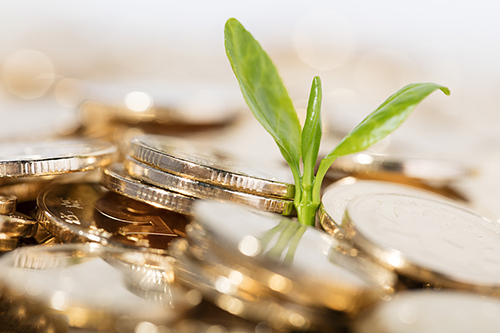 From the current sales volume of plant products, whether it is the starting leaf or the health food, or even the medicine that will become the future trend, whether at home or abroad, these products The price of the plant is getting higher and higher, and the future of plant lighting must have a bright future. The premise is that your product must be distinctive. For example, marijuana, with a high added value of products, and products with characteristics, the next step to determine whether the industry is successful is to see who can successfully implement the commercial marketing model. The life cycle of plant products is very short, but many people will not sell them, and the products will not be sold. In fact, products need different routes. From fresh vegetables to processed products, from semi-finished products to finished products, when products become diversified, the channels of sales become diversified. Sales naturally go up. 2. At Present, LED Accounts For The Total Market Share Of Plant Lighting Fixtures? At present, the plant lighting lamps used in greenhouses are mainly high-pressure sodium lamps. The LED lamps are practically few. In recent years, the application growth rate in the cannabis field has accelerated. Some plant factories also use LEDs, but in general, LEDs currently account for a small percentage. 3. What Are The Advantages of Vegetables Grown With Plant Lighting Compared To Ordinary Vegetables? The first biggest feature is that the vegetables grown in the plant factory are very safe. Only in a controlled environment, it is illuminated with LED lights. By artificially controlling its environment and nutrient solution, it is beyond the green vegetables, and There is no need to use any pesticides or herbicides in the plant, and our nutrient solution avoids the contamination of heavy metals in traditional soils. The second feature is that because of the artificially created shortcut environment, the air is filtered, the water is purified, and the dust and bacteria content is very low. The third characteristic is that the products of the plant factory are very fresh. Compared with the losses caused by long-distance transportation of other traditional agricultural plants, the plant factory is placed around the big city. It can be completed within 12 hours from the receipt of the table, and the effect of planting vegetables at the door of the house. it's the same. In addition, compared with traditional agriculture, plant lighting factories can be customized. Traditional agriculture is limited by the fact that climate and temperature change all year round. Although greenhouse greenhouses can now eat anti-season products, plant factories have no concept of season. The products are the same throughout the year and are highly efficient. 4. Are There Any Defects In The Vegetables Grown At The Plant Factory? Will Artificial Planting Change The Structure Of The Dish, oOr Is There An Unknown Problem Such As Genetic Modification? Artificial light is basically the same as sunlight, and there is no difference in the growth of plants. The only difference is that if the plant is reddish, you will use the exact spectrum, it will produce lettuce with the normal coloration of red leaves, but you said that the lack of anthocyanins in vegetables will be different, but fewer nutrients. The dishes that may be planted by the hydroponic system will be tenderer, some people like it, and some people say it is unnatural. Plant factories use data to speak. We adjust the light to produce a beneficial component. The ratio of blue light to red light in the sun is fixed, but the lighting can make more of the ingredients we need, but it does not change the vegetables. Genes, this is the ability of the plant itself, we have not changed the genes of plants. Nutritional ingredients are the end use of vegetables. Some nutritional values ​​are higher. Some nutrients are not what we need. 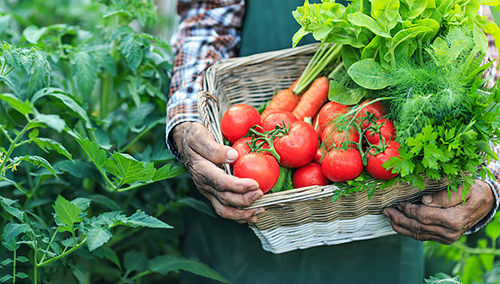 When we need a certain component of plants, we can regulate them through physical conditions. This is the benefit of plant factories. The growth of beneficial components of the human body, or by changing the growth environment of the vegetables to adjust different tastes. 5. 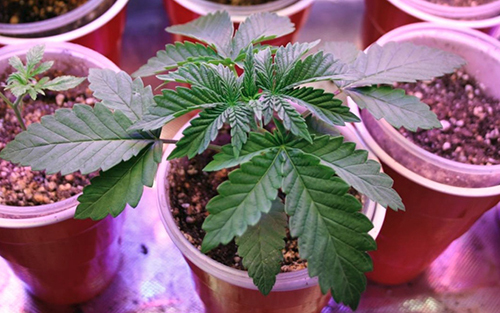 How Do You Think About The Development Of Cannabis Cultivation? Cannabis itself is a double-edged sword, and its medication value is beyond doubt. There are different laws in different states of the United States, depending on how the local government views it. Many states in the United States have legalized the cannabis market, and mature lamps are now in use. Moreover, they are now looking for a more efficient LED luminaire solution than the high-pressure sodium lamp. If your LED luminaire solution has no obvious advantage over the high-pressure sodium lamp currently used, there will be some obstacles in the promotion. 6. What Are The Advantages And Disadvantages Of LED And Traditional Light Source Metal Halide Lamps (HID) In Plant Lighting? High-pressure sodium lamps have been used in agricultural production for a long time, and LEDs have just begun to be used. However, as general lighting, LED market share is getting higher and higher, and many traditional lamps have been replaced by LEDs. This is an inevitable trend of technological development. However, the spectral output of metal halide lamps is relatively fixed, it is difficult to control the change of spectrum, so it is suitable for the growth of certain plants. At present, metal halide lamps are widely used in tomato planting, but if it is a plant factory, LED is better than it. Much more, its spectrum is more suitable. However, the current LED QE value is compared with metal halide lamps, LED has no obvious advantage. 7. What Is the Difference Between Hydroponic Vegetables And Plant Factories? Will There Be Insect Growth In Vegetable Plants? Whether it is a greenhouse or an indoor artificial light factory, it will grow insects. The key is how to control, the greenhouse is a semi-manual control environment, if the state of the switch door is not well managed, there will be insects coming in, usually, there is a lot of space and insects come in. Plant factory management and greenhouse management are not a strict condition. We enter the plant factory and protect human hair. In addition, the air and water of the plant factory are purified or filtered. If strictly in accordance with the management model of the plant factory, The probability of long worms is very low, so pesticide plants are not allowed in plant factories. In greenhouses, we can only try to reduce the proportion of pollution, hydroponic cultivation through the nutrient solution is one of the methods. On the basis of different light quality, how to ensure its luminous flux density? Also, how to make sure it is in the same light intensity. For example, red and blue light sources are combined into the same power, and the blue-chip is not the same as the red chip voltage chip. Different numbers seem to represent different light intensities, that is, PPF is different because of the luminous flux and plant chlorophyll. A and B have a relationship. Even with the same PPF, the concept of light effect per watt is different. 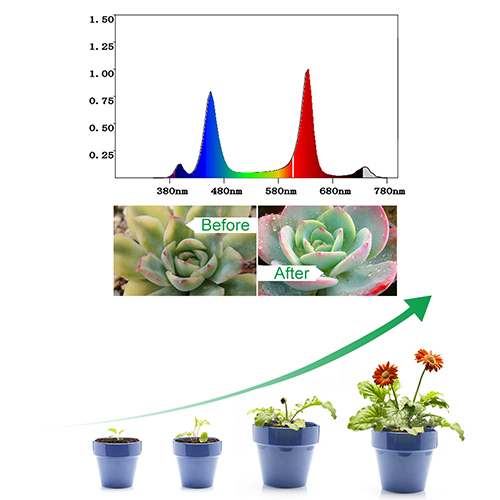 The influence of different spectra on plant growth is definitely different. Now many of the lamps sold in the market are measured by PPF per watt. I think this is Not comprehensive, because he does not contain the spectrum. Effective PPF is very important for plant growth spectroscopy. We all know that in the design of the luminaire, it is very difficult to achieve complete uniformity of the spotlight of anyone lamp. It can only be realized by optical design at the stage of luminaire production, and the light is made more uniform as much as possible. Some linear lamps of power are doing very well. If you want to fill the light in the greenhouse, you need a more precise optical design. 8. When Conducting Plant Lighting Studies, Does The Light Test Performed Under The Same PPFD And The Different PPFDs Result In Different Final Test Results? The same situation as PPFD compares the spectrum. If the PPFD is high or low, the spectrum is different, and the research results are basically not convincing. However, this depends on the direction of the research. If it is PPFD, the spectrum is different. This is the study of the spectrum. Some studies are different for PPFD, but the energy consumption is the same. The same lamps are used normally, such as each 20-watt lamp. Five lights are lit, and the adjustment of the height is compared to the difference in cultivation strength, which should be considered together.